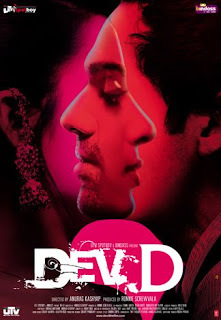 Anurag Kashyap's Dev D starring Abhay Deol has done a decent business of nearly 5.5 crore over the weekend. The film has got rave reviews and has been largely accepted by the target audience. Due to problem with the multiplexes the film started slow but picked up with good word of mouth. Dev D surely seems to be a profit making venture for UTV. Meanwhile Luck By chance despite getting huge critical acclaim and appreciation is finding hard to recover money as the film was bought by Big Pictures for a good amount. In its first week Luck By Chance has grossed a nett of nearly 10.5 crores. Harman Baweja starrer Victory has proved to be disastrous for its distributors with a business of about 1.7 crore nett. Raaz - The Mystery Continues grossed about 4.25 crore nett in its second week taking its total to nearly 24.5 crores. While Ghajini in its 6th week did a nett business of nearly 1 crore to take its total to about 114 crore.